The BMW F30 3 series is a very popular and classic car to buy today. Some people like to stand out from the rest and upgrade their rear turn signal to a brighter LED for a different look and also for the safety it can provide. 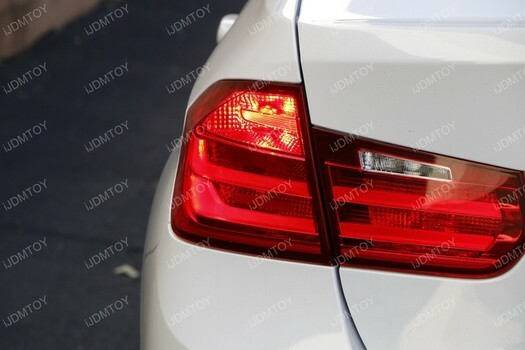 The iJDMTOY BMW LED rear turn signal lights can help you achieve a new look and this is also compatible with the BMW F32 4 series but for this installation, it will be on a BMW 3 series. 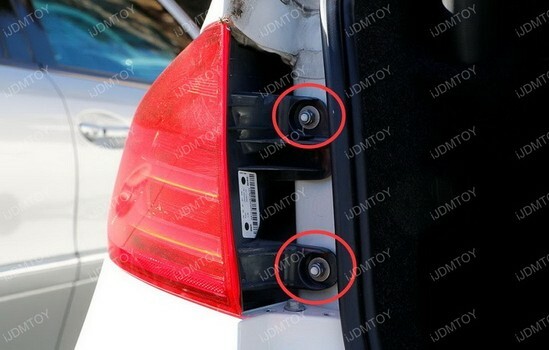 Open the BMW F30 3 Series trunk to locate the rear tail lamps and you will see the two bolts holding it in place. Take a wrench and remove the two bolts holding the rear taillights in place and make sure to put the two bolts in a safe place, you will need them again to reinstall your taillights. 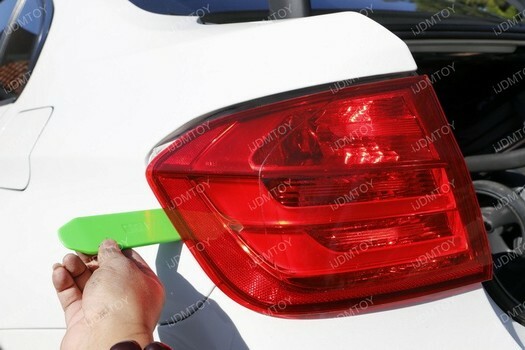 Use the pry tool to gently pry out the light fixture tail lamps and remove it by pulling towards you. Turn the taillight housing to expose the caps holding the factory bulbs. From the side you will be able to see the factory turn signal bulbs from the side of the tail lamp. 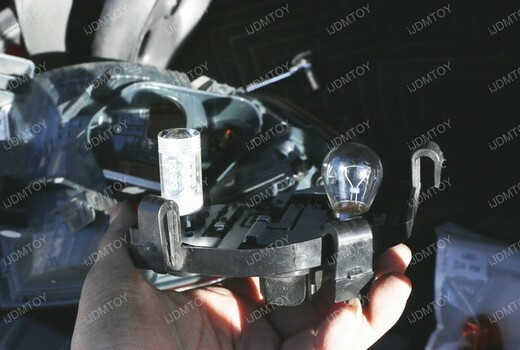 Gently remove the cap holding the bulbs in place to expose the OEM turn signal bulb and remove the turn signal bulb. 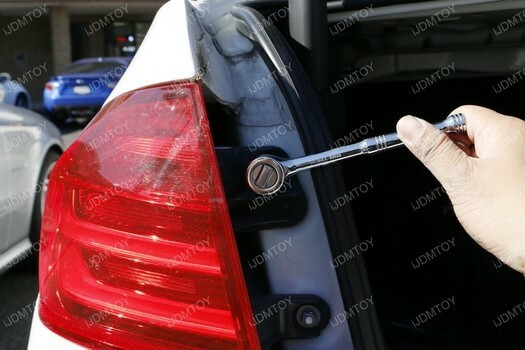 Install the new iJDMTOY BMW F30 3 series LED rear turn signal light bulb. 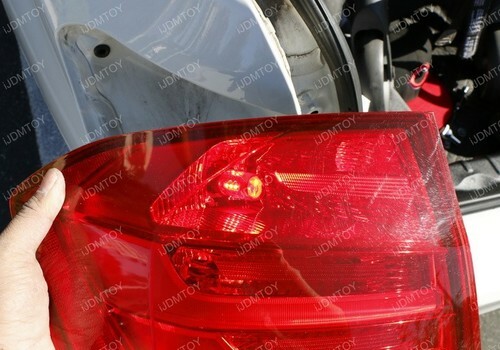 This is how your new iJDMTOY BMW 3 series LED rear turn signal lamps would look like in the housing. 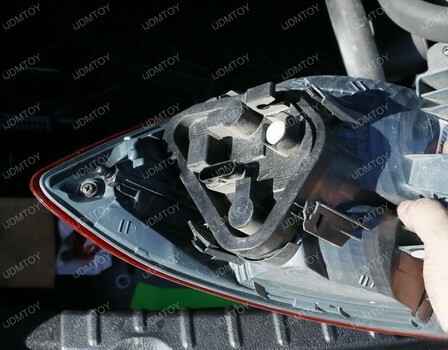 Place the tail light housing back in and tighten the two bolts that you placed in a safe location and secure the rear tail lamp housing to the BMW 3 Series. 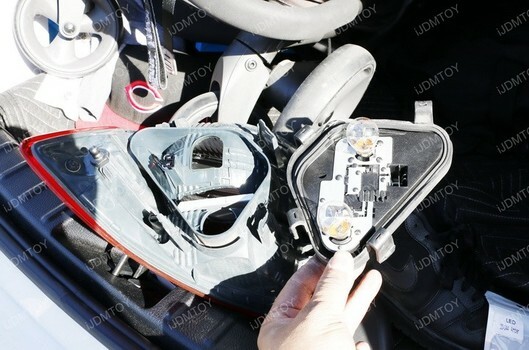 Test to make sure the 7507 LED Bulbs rear turn signal lamps are working properly and enjoy your new BMW F30 3 Series LED blinker lamps. With a few simple steps to do for the installation it can make a world of a difference for your Bimmer. 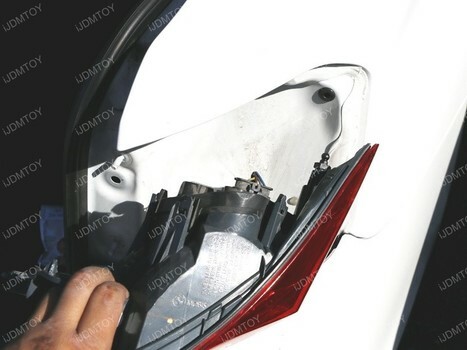 There were no complicated modifications needed to fit the new LED bulbs and you can enjoy your brighter iJDMTOY BMW rear turn signal lights in a couple of minutes.